The annual Academy Awards ceremony has never really held me captivated. Awards like these are subjective; how can you compare Meryl Streep to Cate Blanchett, or Sandra Bullock, or to, um… anyone? I do love watching the stars sashay along the red carpet, pausing to pose just so for the cameras or speak to over-zealous reporters, a few of whom may be 86-ed after this year’s 86th show (it’s Julia Roberts, not Jennifer. How can you mess that up?). This year was different. Let’s downshift right past what people are calling host Ellen Degeneres’s lackluster and almost bitter opening. All of my personal sites were set on several very deserving nominees. Both “12 Years a Slave” and “Dallas Buyer’s Club” were filmed in New Orleans; a city that rose up after Hurricane Katrina to become the Hollywood of the South. Knowing several of the actors in these films and how passionately my agency worked in pitching them for their respective roles made me so proud. Matthew McConaughey (who hails from Longview, Texas) has certainly shed his silver-tongued, surfer-dude image, alright! Oh, and a shout out to my new Jesus crush Jared Leto for putting Bossier City, Louisiana on the map! 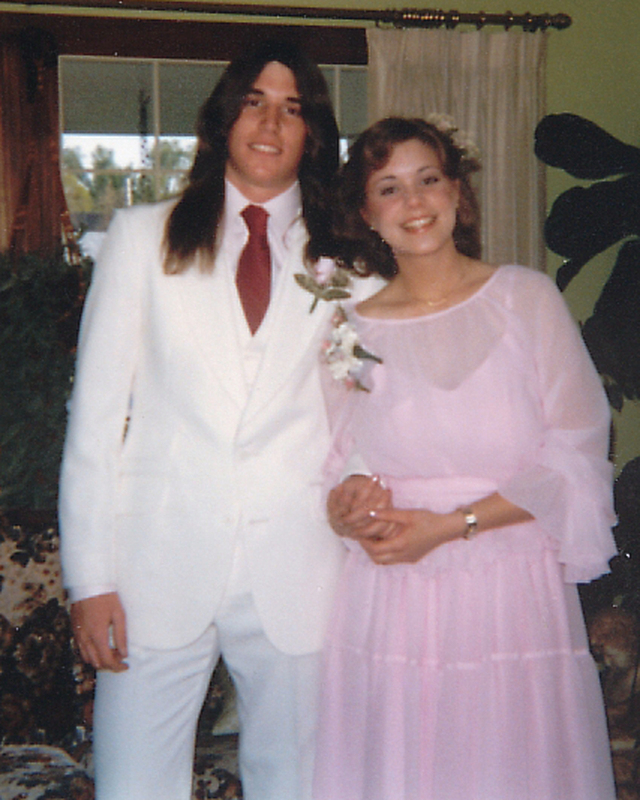 Seeing Jared decked out in a white suit ala “Saturday Night Fever”gave me a sudden flashback to my date for senior prom. Leto snagged the award for Best Supporting Actor, and set the bar for an evening of effortlessly eloquent acceptance speeches. Matthew McConaughey, Lupita Nyong’o, and Cate Blanchett (all first-time Oscar winners) were totally in command of their moments on stage, and yet so gracious. Ok, Blanchett blundered a bit with her misuse of the word ‘exacerbates’ when thanking presenter Daniel Day-Lewis. Was taking the golden boy from him a problem? I’m confused. Not quite sure which word she meant to use. But hey, but if anyone can make a totally inappropriate word choice seem believable, it’s Cate. Throughout the evening, several of the celebs presenting this evening seemed to be having trouble spitting out simple words and phrases. I blame the show’s tech team–it had to be a slower-than-normal teleprompter. Most of the stars were able to shrug it off, but John Travolta blatantly changing Idina Menzel to “Adele Dazim”? Little worried about ya, Johann Revolt. It was worse for Kim Novak. Clearly the marionette operators above couldn’t get her mouth to open. And what was with my hero Harrison Ford’s Heisenberg impression? A hat and glasses, and he would have cleared the entire Dolby Theater. Don’t hate, but I might be the only person watching who didn’t totally love Darlene Love. Happy to be part of the team accepting the best documentary award for “20 Feet From Stardom”, Love burst into song with the chorus of one of my all-time fave gospel tunes, “His Eye is on the Sparrow”. Everyone from Bill Murray to Bono seemed inspired by this not-so-impromptu concert. She’s already an incredible force of nature with serious champion chops. But this came off as more of a brazen Broadway moment. Word on her website is that a movie of her life is in the works. How are they gonna cast it? Jennifer Hudson, get ready. The singer who did impress me was that cool white woman in a red dress: Pink. 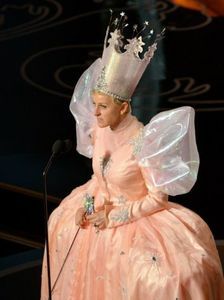 In a tribute commemorating the 75th anniversary of “The Wizard of Oz”, Pink’s rendition of “Somewhere Over the Rainbow” was gold. By the time I thought “Why did they pick Pink?”, she had already won me over. Speaking of Oz, why wasn’t “Gone With the Wind” celebrated? Both films were released in 1939. Yes, I know the film doesn’t feature Scarlett singing, “As God is My Witness”, or “For the Love of Ashley”, but they could’ve come up with something. 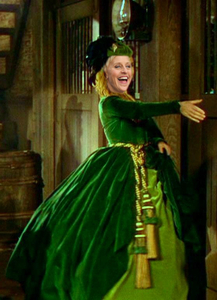 If Ellen was ballsy enough to dress up as Glenda the Good Witch, surely she could have donned Miz Ellen’s green velvet portieres. The biggest bang for my viewing buck this evening (not counting the pizza delivery gag) was of course Ellen’s selfie seen ’round the world. It’s my desktop screensaver now. 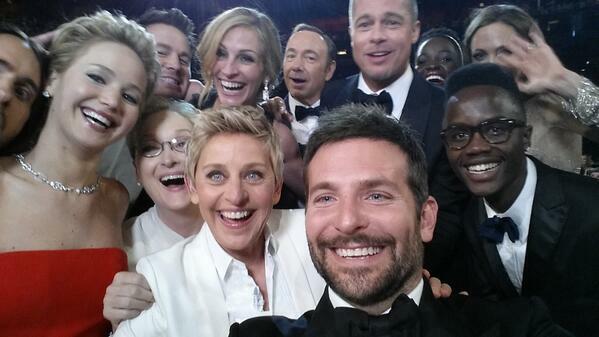 So fun to watch A-listers mugging for Twitter pic! Most people don’t realize; however, that this whole celeb selfie trend is actually a highly organized, calculated effort to put the paparazzi out of business. Who knows? It could happen. I was invited to my first Oscar party this year, and I have to admit the flash of those cameras in my face would have been less than annoying, for sure, not to mention the opportunity to wear couture and practice tripping like Jennifer Lawrence (one of my acting coaches actually teaches falling, especially in heels!) But I stayed behind for the best reason an actor could have: booking a gig! Heather Bloom is a first-life actress, author, model and designer with films, publications and design projects to her credit. For more of Heather’s works, projects and products, please visit http://www.TheHeatherBloom.com. Next : From Role-Play to Best Seller?